The Royal Tenerife Country Club is in Tenerife’s Golf del Sur Golf Course, just under 1 mile from the Atlantic Ocean. Surrounded by lush gardens, it has 2 outdoor pools, a bar, gym and tennis court. The elegant colonial-style apartments feature a balcony, terrace or a garden. The living rooms have a ceiling fan, a sofa bed, cable TV, CD and DVD player. A hairdryer and amenities are provided in the bathroom, and the kitchenette includes a microwave and coffee maker. Safes are available to rent. Guests can play ping-pong in the hotel’s game room. There is a Wi-Fi zone and a massage service is offered for an extra fee. There is a 24-hour front desk, where you can rent a car or exchange currency. On-site parking is available for a fee. 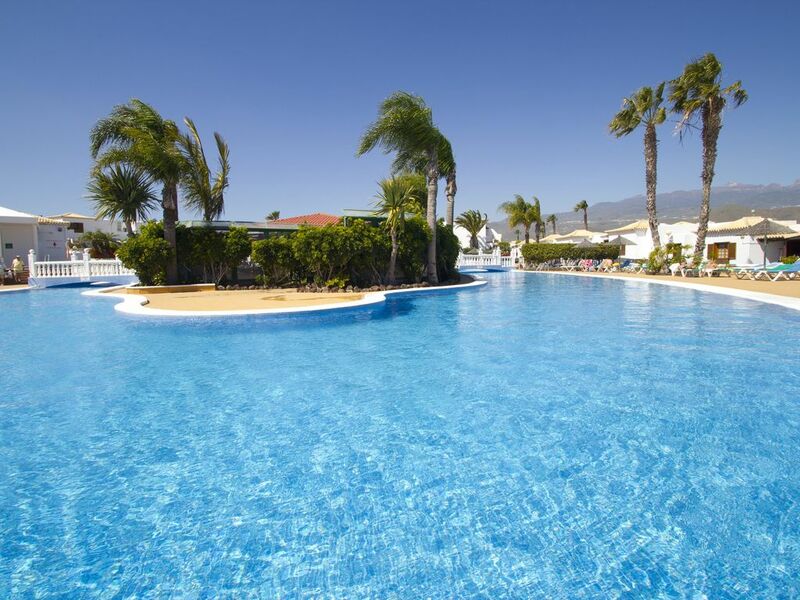 Tenerife Sur Airport is a 10-minute drive away. Opening onto a terrace, this studio has a double bed and a living area with a flat-screen TV and a DVD player. A refundable security deposit of EUR 100 per apartment is required upon arrival. This deposit is obligatory and must be paid with a valid debit or credit card. Please note that cash is not accepted. Cards accepted at this property: Visa, Mastercard, Maestro and Switch. Entertainment services will only be available during the summer months of July and August, Holy Week and Christmas. For other excursions and activities that are not related to the entertainment department, please contact reception. A safe can be rented for EUR 14 per week.